I think that any of us ‘Queer Eye’ fans with a penchant for menswear have coveted Tan France’s style from time to time. He’s so chic, but in an effortless way. He manages to find really great pieces at low-cost stores (Think Target, ASOS) and wears them like they are designer items. How does he look so good all the time? Well, he often goes bold in his patterns, which signals “fashion connoisseur.” He also takes very good care of his clothes — as you can see, nothing is wrinkled, and his white shirts are completely white. I’m guessing he air dries everything too. Beyond that, he just has a “je ne sais pas” about his style. I just don’t know how he does it. Luckily, when it comes to watches at least, now we don’t have to. 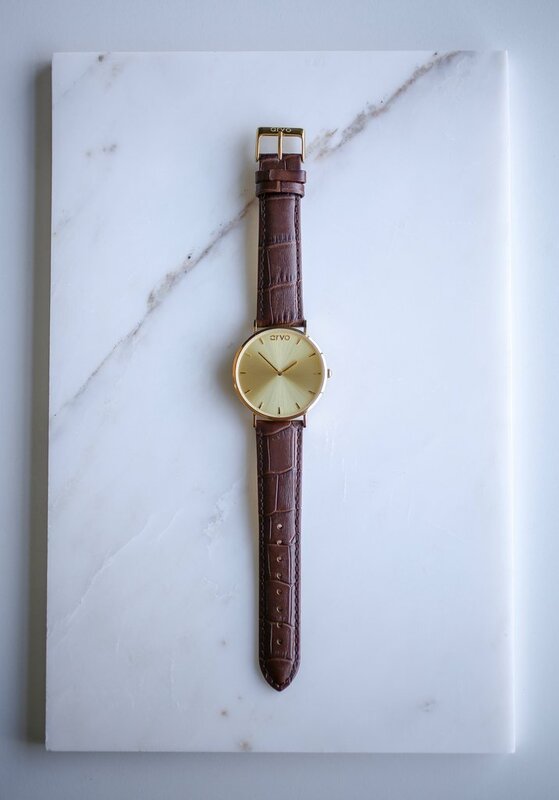 Tan teamed up with Arvo watches on a bold limited edition set to help bring some more oof to our wardrobes. With a "Street" watch and an "Evening" watch, the set works with a wide range of styles. Pre-ordering is now available, with an expected ship date of November 12, 2018. The watches are so distinct, that they almost look odd side by side. But I like it. If you’re going to wear two watches regularly, you want them to be different! The set normally costs $179.95, and our code will bring it down to just about $75 per watch. Oct 26 Ready to Stare at these AMAZING Engagement Photos? !